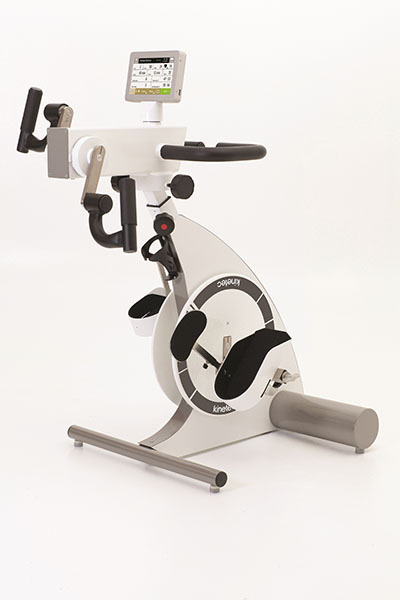 The Kinevia Duo Active/Passive Leg Trainer is a whole-body trainer that can be used to work both upper and lower limbs. 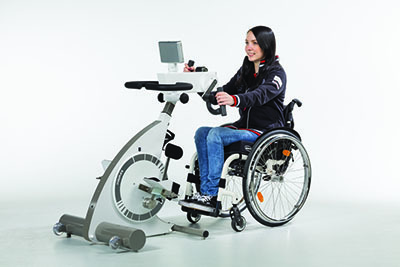 The rotating system for the arm exerciser will provide excellent comfort to the user during both arm and leg treatment with a design that minimizes efforts during set up. It includes various pre-programmed training modes that makes it the ideal companion for neurologic and orthopedic rehabilitation. It has a 7-inch touch screen display that guides the therapy and combined with the Kinetec Kinevia Cockpit software, the device will track patient progress helping in the management of patients during rehabilitation. Dimensions: 33.5" x 48" x 26.5"